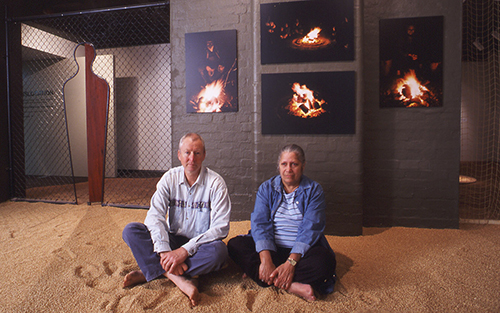 A photo-documentary exhibition of Adelaide’s public space Aboriginal Cultural Markers (monuments, memorials, public and community art, and commemorative and interpretive plaques) presented as a social narrative of exclusion and inclusion from colonisation (1836) to contemporary (2007). 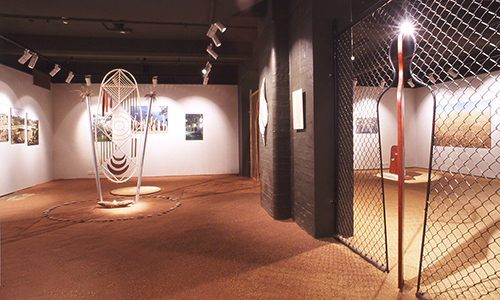 The exhibition was produced by Gavin in partnership with Reconciliation SA and Tandanya: The National Aboriginal Cultural Institute, for the 40th anniversary commemorations of the 1967 Australian Constitutional Referendum on Aboriginal issues. 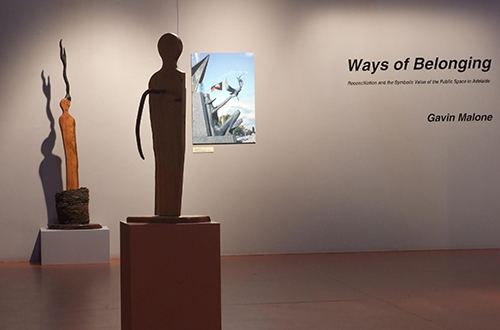 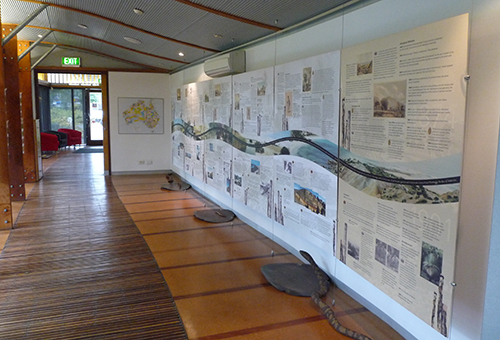 The exhibition was launched as part the official Reconciliation Week Program, June 2007, and has also been hosted by the City of Onkaparinga (October–December 2007), City of Charles Sturt (January 2007–November 2008) and City of Unley (May–June 2010). 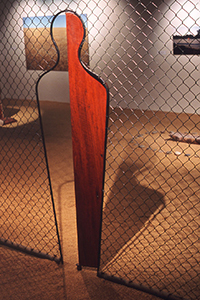 See: Nicholls, C. (2007) Response and Reconciliation Asian Art News, Vol 17, No 4 and Nicholls, C. (2007) Contested Spaces World Sculpture News Vol 13, No 3 for discussions on the exhibition. 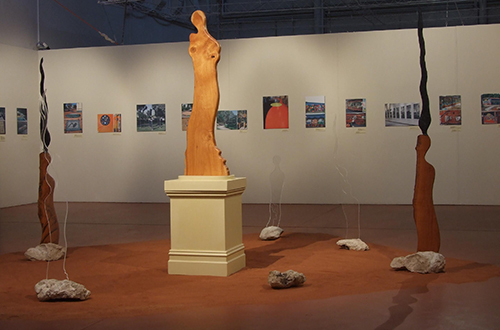 Dislocation was a bi-cultural exhibition by Gavin and Georgina Yambo Williams, Nganke burka (Senior woman), Kaurna, providing a collaborative Nunga (blackfella) and Goonya (whitefella) perspective, the hunter-gatherer and the farmer-city dweller cultural traditions. 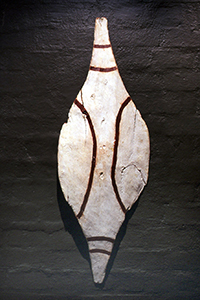 It was first presented in the Australian Aboriginal Cultures Gallery, South Australian Museum, in 2002 and then in the Living Kaurna Cultural Centre, Warriparinga, in 2003. 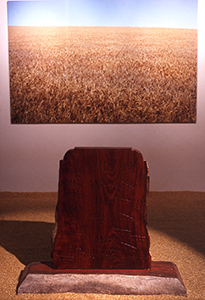 A soundscape of clapsticks, interspersed with wailing for the old ones, the loss of country and continuing dispossession, was part of the exhibition. 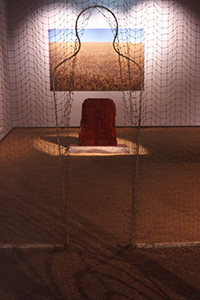 One side of the exhibition space floor was covered in red sand, the other side in wheat. 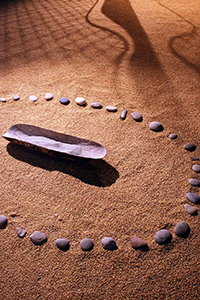 Visitors were encouraged to walk barefoot. 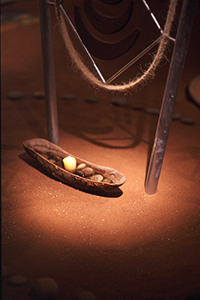 In collaboration with Georgina Williams, Gavin developed the narrative for the Interpretive Gallery display panels in the Living Kaurna Cultural Centre, opened in 2002. 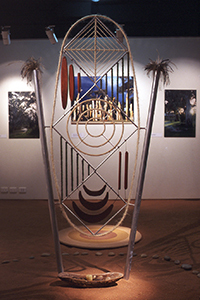 They collaborated with David Kerr (South Australian Museum) on the design of the display.